At PlayVox we keep on working towards offering our clients the best and most complete Quality Assurance Platform ever! This time we’re sharing with you the 2nd release of the year, we’re very excited about it! Multiple Quiz Answer Types: We added the option to use different type formats for answers to questions within Learning quizzes. Multiple selection and/or fill in the blank. Reorganize your Course Lessons and Quiz Questions: You can now reorder lessons inside your courses using a drag and drop function. Assign Weight to Quiz Questions: When creating quiz questions for a Learning course, you can now decide the score/weight you want to assign to each question. These weighted values will be used to calculate the quiz scores. (Note: the sum of all weights must equal 100%.). Preview Learning Courses: View exactly what a course will look like before you make it available to enrollees. Copy Learning Lessons and Quizzes: You may now re-use existing lessons and quizzes and copy the content into new courses. NOTE: If you don’t have the LEARNING module and would like to find out more about it, don’t hesitate on asking your Customer Success Manager. 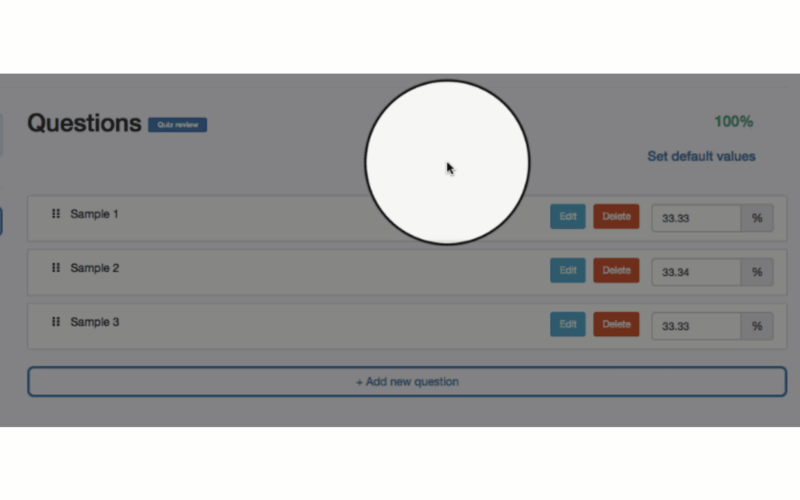 Scorecard Question Comments: With this feature, agents will no longer need to hover over a question feedback or comment icon to view their evaluator comments such as support links, explanations, etc. Now, you have the option to expand or collapse the comments in the evaluation results and new for the agents is to see the description for each question. Add N/A Values on Scorecard Edition: It will no longer be necessary to clone and modify an entire scorecard to add N/A answers. This new feature allows you to add N/A values to existing scorecard sections. New Integration with Kustomer CRM: Are you a Kustomer user? Now Quality Analysts will be able to access your Kustomer CRM interactions. The same configuration and filter options will be available with Kustomer integrations as for other 3rd party platforms. We hope you enjoy these enhancements and make the best of them! Feel free to reach out to us if you have any further questions or feedback.